The Delaware Libraries Inspiration Space announces a new initiative to enable small business owners to expand their knowledge with the latest ideas from the business world’s thought leaders. 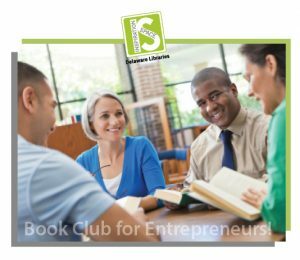 A Book Club for Entrepreneurs will launch at the Lewes Public Library on Tuesday, January 9, 2018 at noon. Small business owners will have the opportunity to learn about the latest concepts in entrepreneurship from books and each other. In addition to discussing the content of the selected book, participants can share their relevant experiences with the group and explore related ideas. The book club will be self-managed and will select the best day and time for future meetings. Each member will have the opportunity to select a book and lead the monthly meeting. The selected books will be made available in a variety of formats through the Delaware Library Catalog. Like all Delaware library programs, participation is free. Register at http://tinyurl.com/bizbookclubjan9lewes. The January book selection and other details will be provided to registrants via email.